In this day and age, there are various ways to communicate and share information. However, using letters as a mode of communication is still prevalent up to this day. Letters are commonly used most especially in professional settings; it is used to share important information, apply for a job, share complaints, and so on. When you write letters, it’s important to include information about you as the sender; otherwise, the letter will not be treated as a serious communication or a priority. A letterhead is basically the return address of a letter; it contains the information about the sender such as the name, address, and contact information. 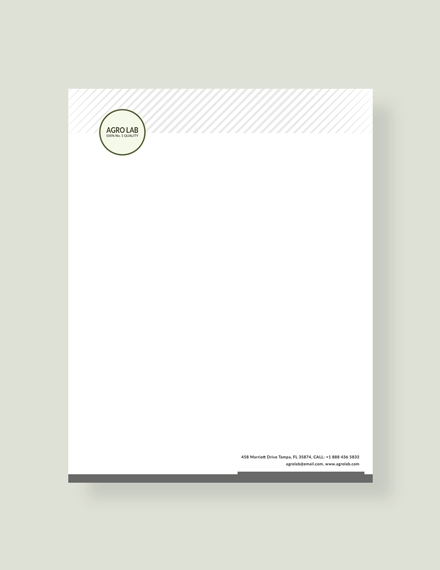 A letterhead is used to inform the receiver who the sender is and for branding purposes. 1. Company or personal name: Since the purpose of the letterhead is basically to introduce you as the sender of the letter, it is important to include your company name or personal name. The name you include should be the legally registered name, be it your company or personal name. It is important to spell out your or the company’s full name in order to provide accurate information to avoid miscommunication. 2. Address: The address you include in the letterhead should be the updated address. It is important to provide the accurate and updated address so that the sender has an idea on where to locate you should there be a need for personal appearance. And since you are starting a correspondence, there might be instances when a reply will be sent through mail and the address in your letterhead ensures you receive it. 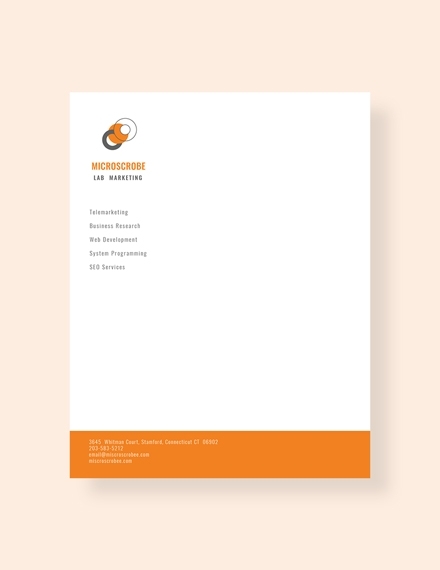 You may also see corporate letterhead examples. 3. Contact information: Just like how the address is important, the updated contact information should be included in the letterhead in order to continue the correspondence. It helps the receiver know how to easily contact or get in touch with you. You should include your correct email address, phone number/s and fax numbers in your letterhead. 1. Logo: Since a letterhead can also be used in establishing your brand, including a logo that represents you or your company is essential. The logo helps the receiver easily identify you and recognize your brand. In some letterhead designs, the logo is the only element included since it is already identified as the brand’s official image. In some cases, a personal picture/image can be used as the logo. 3. Positioning and alignment: The size of your letterhead will affect how you position and align it on your paper. It is best to balance the shape of your images with the offset, so that you can create a connected design. The letterhead itself should have a flawless relationship with all its elements in order to achieve an asymmetrical overall design. 4. Color: Since you will be using the letterhead to emphasize your brand, it is best to stick with your company colors. 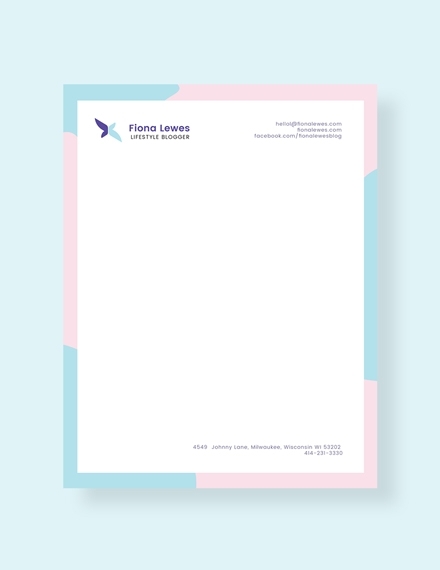 If the letterhead will be used for personal purposes, it is best to choose a simple and sleek color palette. Stick to one to three colors that perfectly complement each other to achieve harmony making it easier on the eyes of the reader. 1. 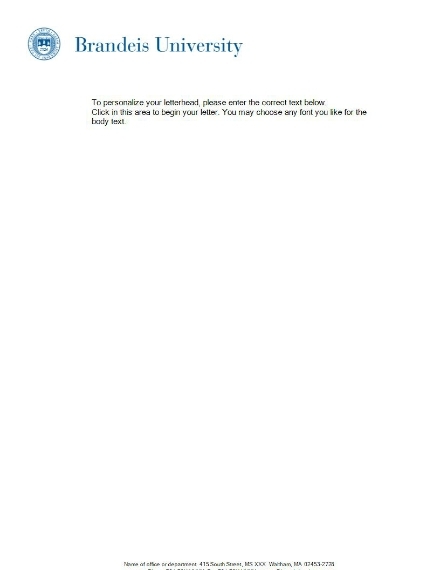 Add logo: After opening a new blank document, immediately proceed to inserting your logo or personal image. Click the Insert tab found on the upper part of the document. After clicking the Insert will be options on what you can insert on your page, choose Image/Picture. A new window will appear where you can locate and select the file on your computer. 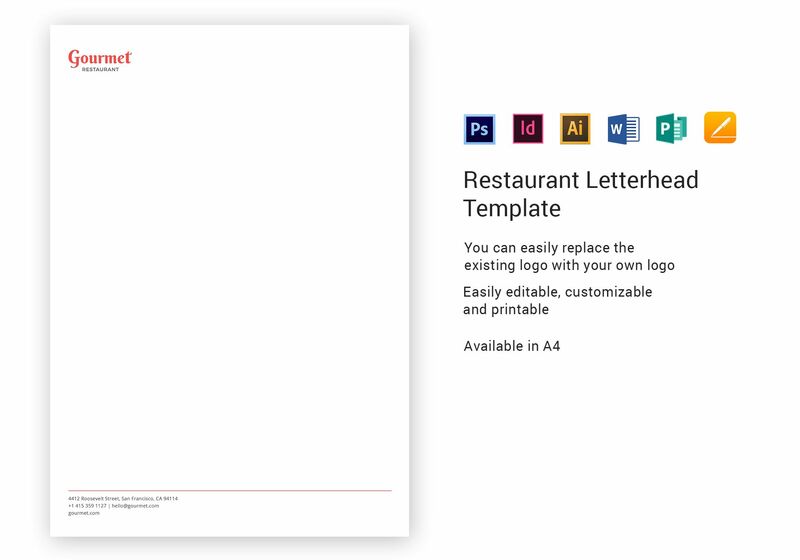 You can also do make a letterhead by clicking the Header option where you can choose from various letterhead styles, but basically the same procedure applies. 2. Format the image/logo: Once you have approved the image/picture you wish to use as the logo for your letterhead, you need to format it so that it doesn’t distort once you move it around the page. In order to easily move your image around the page, right-click on the image itself and click the Wrap Text option and select Square. After successfully formatting the image, resize the image/logo to your preferred size and move it where you want it to be in your letterhead. 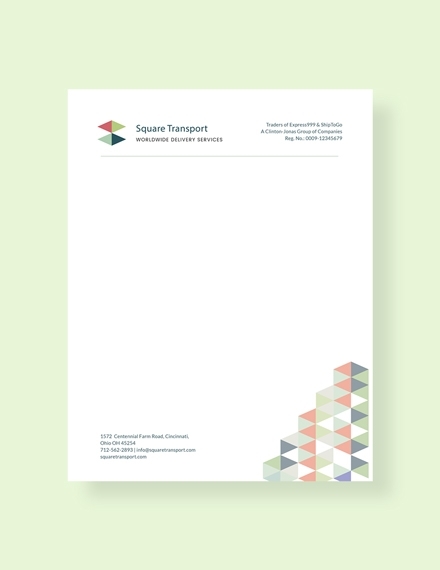 You may also see business letterhead examples. 3. Add the texts: After moving the image/logo to the right place, you can proceed to the typing out the essential texts that should be included in the letterhead. To easily do this, you should add a Text Box. Click the Insert tab and select Text Box. After clicking, the text box will immediately appear on the page, you can then adjust it to your preferred size or the size the matches your image/logo. You can then proceed to adding the texts such as you name, address, and contact information. Make sure you choose a clear font style and at a readable size. 5. Proofread the letterhead and edit accordingly: After making sure you have included all the essential elements in your letterhead, you should make sure there are no errors. Proofread the texts you have included in your letterhead; make sure you provide the correct street number in your address, ensure that you include the zip code, ensure that your contact number is updated, etc. If you think that the overall style of your letterhead is messy, you can change your font style, color, etc. Edit your letterhead accordingly. 6. Improve overall appearance of the letterhead: Once you have successfully inserted your image/logo and added the texts, make sure your letterhead is placed where you prefer it to be. There is also an option in Microsoft Word where you can group your texts and images together so that they go together when you drag them across the page. Furthermore, you can also add lines and/or borders to indicate the end of your letterhead and the beginning of the letter. You can also add other design elements that you see fit. 7. Save the letterhead: The purpose of making this letterhead is to make sure you can use it again and again in your other letters. 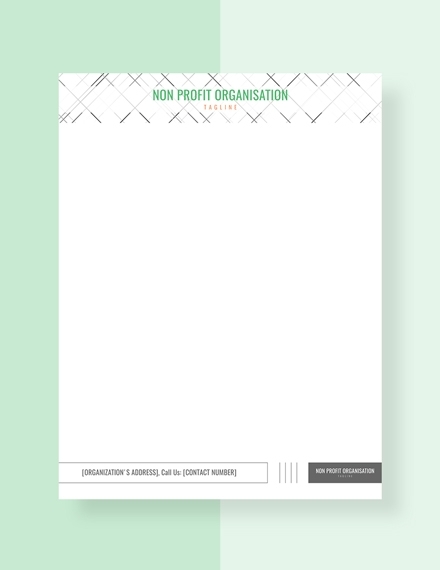 To make sure that you can do this, save your letterhead as a template. To do this, go to the File tab and select Save As, then change the file name of your letterhead, choose the right location in your computer and change the format to Word Template (.dotx). 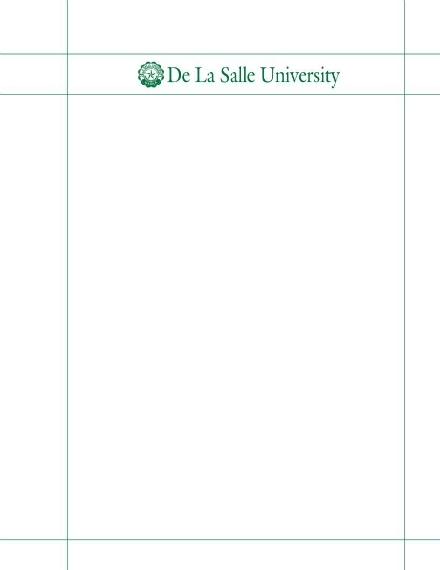 Outline/sketch your letterhead first based on your idea. Pursue creative direction when making letterheads be it for professional or personal purposes. It is best to choose the editing software that you are most comfortable in using. Make sure you provide the correct information. Choose high-quality image for the logo in your letterhead. Your letterhead should be of the right size: big enough to read and not big enough to be overpowering. Proofread and edit before printing or saving. 1. 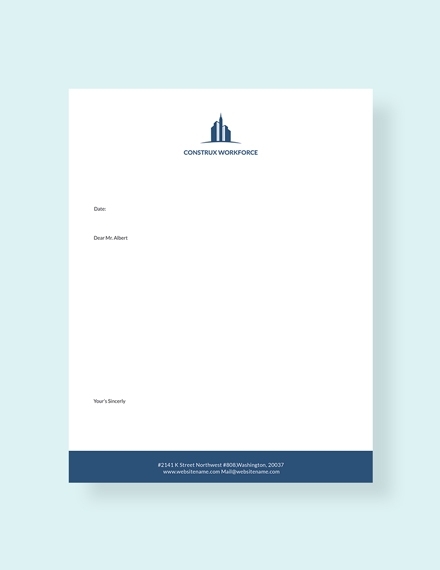 Standard letterhead: This is the commonly used type of letterhead in the corporate realm. It contains all the basic elements of a letterhead such as the name, address, contact information, logo or watermark. 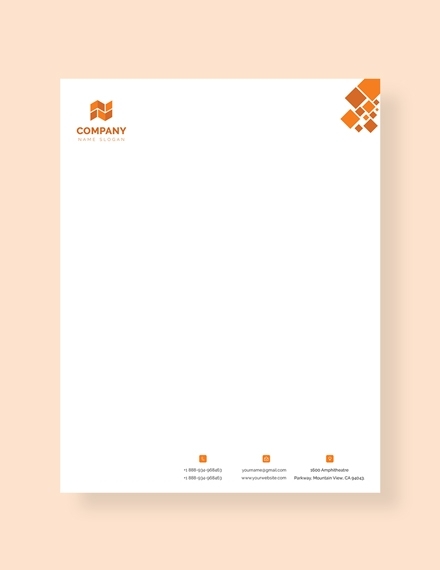 This letterhead is typically used for administrative or service-oriented purposes like letters used by a company when transacting with other businesses. 2. 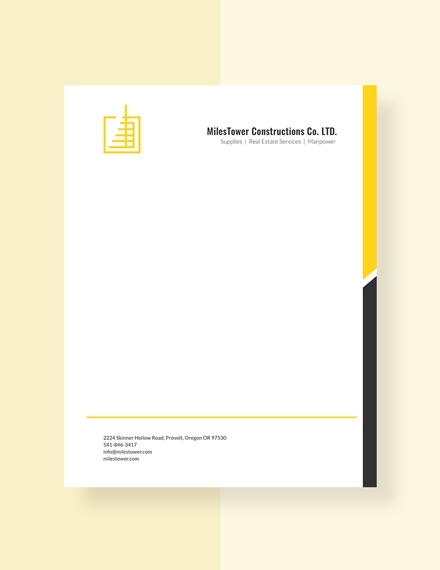 Specialized letterhead: Unlike a standard letterhead, a specialized letterhead is basically comes form a specific department of the company or organization. This is used in order to inform the recipient which specific office or department the letter is from. It contains all the information found in a standard letterhead; however, it also includes the name of the specific department or office where it is sent from along with the logo associated with it. 3. 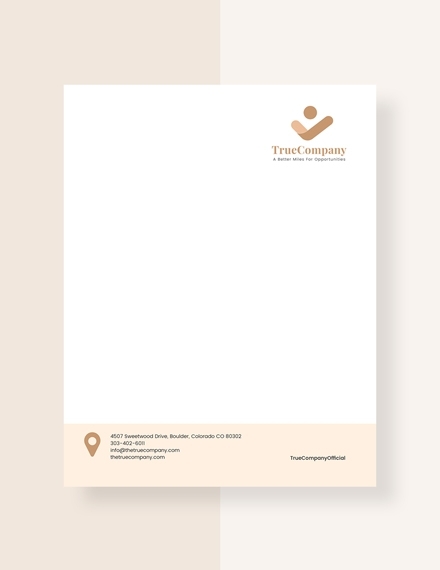 Custom letterhead: A custom letterhead can also be used for external communications but can’t be used on form documents. 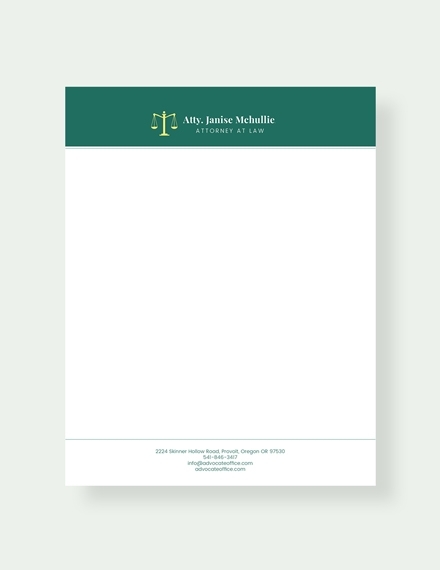 This letterhead is custom-made for one specific person to help readers know who the letter is specifically from. 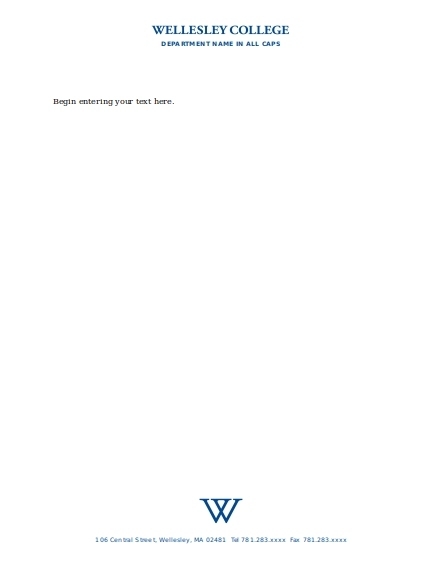 This means that this letterhead is specifically formatted to fit the needs of the reader, i.e. what information he/she needs to know, just like a specialized letterhead. 4. Executive letterhead: When the higher-ups of the company send out communication, they use a letterhead specially made for them. 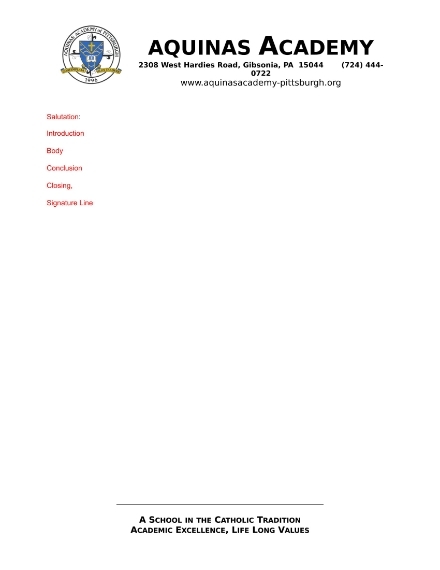 An executive letterhead is reserved for people holding high levels of authority within the company or organization. It is used when higher-ups want a more definite and immediate action to certain matters or issues and to assert their authority to the matter. 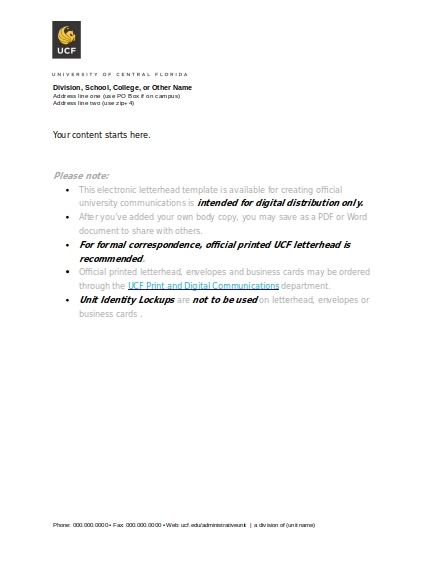 This contains all the contents of a standard letterhead, but highlights who the receiver is. You may also see formal letterhead examples. What is the difference between a return address and letterhead? A return address is basically still the return address of a letter. The only difference between the two is how they are formatted and where they are located in the letter. The return address is usually found on the top left or right portion of the paper; however, the letterhead is found the topmost part of the letter, usually at the center. The letterhead also includes a logo/image and a return address doesn’t. What are the benefits of using a letterhead? Using a letterhead ensures that you reader gets to read and know who the letter is from since it is systematically placed on the topmost part of the paper and is basically the first thing the reader sees/reads. It also allows you to channel your creativity on how you can effectively present all the information while making sure it is brief and concise.